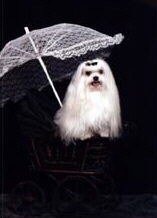 Maltese puppies, Maltese Dogs, and Maltese Show Dogs, from an AKC Maltese Breeder with other Maltese dog, Maltese puppy, and Maltese Breeders information. Note: Puppet and Adam are DeeDee puppies from the Indy (Ch. Marcris Indecent Proposal ROMX) litter. Why Does A Maltese Puppy Need To Be 12 Weeks Old Before Going To A New Home? puppy available as a pet!! 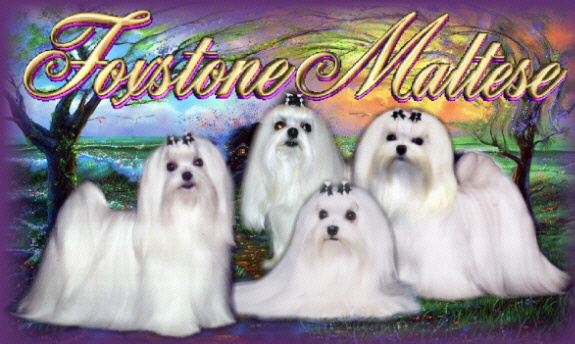 Welcome to "Foxstone Maltese". 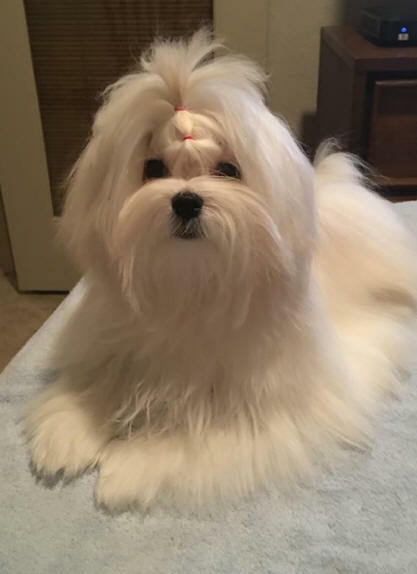 We are Maltese breeders with a small Maltese dog and Maltese puppy breeding program of Champion show Maltese dogs and champion sired Maltese puppies. On our website, you will be able to view our Maltese puppies and all of us adult Maltese dogs. Our mom, Sharon, is a Maltese Breeder of AKC registered Maltese puppies and Champion Maltese show dogs. My name is "Vanity" (a very spoiled Maltese dog, I might add) and I will be your guide. First I would like to tell you about the people I own. Their names are Dennis and Sharon Pearson. We all live in Eads, Colorado (population 800) where I, and all my four-legged housemates, seem to be the town celebrities (well............. sort of). We hope you enjoy your visit at Foxstone Maltese dogs where you will find information about Maltese puppy breeders, Maltese puppies, Maltese dogs, Maltese dog size, How to find a Reputably bred Maltese dog From Reputable Maltese Breeders, Teacup Maltese puppies, Maltese puppies and Young Children, with links for shopping for Maltese dog and Maltese puppy items such as Bows and accessories, Shampoos, Conditioners, Maltese dog Coat care supplies, Food, AKC Maltese Breed Standard, and much more. We also have lots of photographs of Maltese puppies as well as our adult Maltese dogs, along with online pedigrees of our Maltese puppies and Maltese dogs. The most spoiled Maltese dog in the world!! Thank you for visiting Foxstone Maltese Dogs and puppies!!! Copyright © 1998-2018 by Foxstone Maltese.